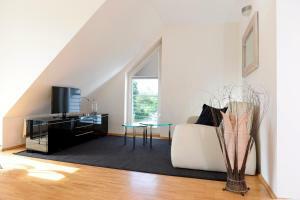 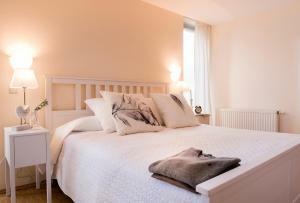 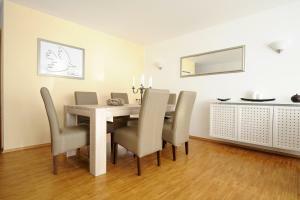 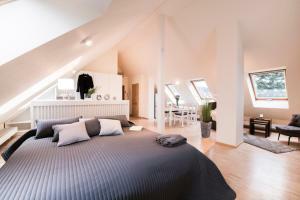 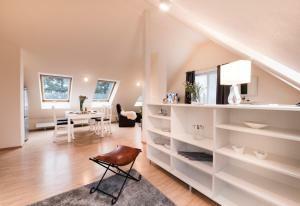 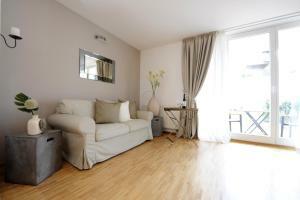 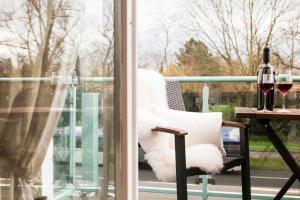 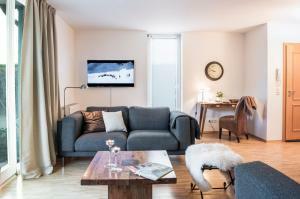 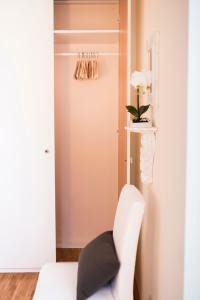 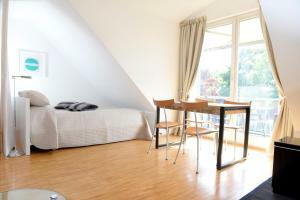 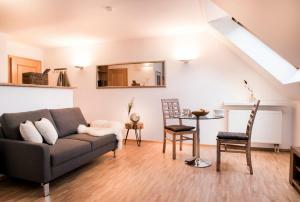 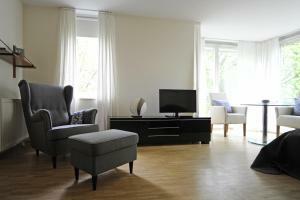 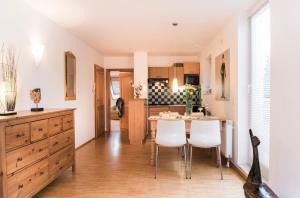 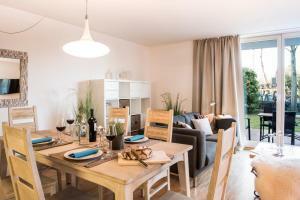 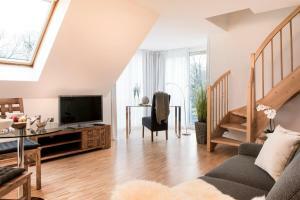 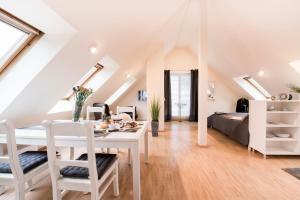 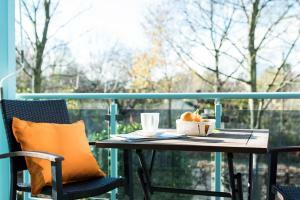 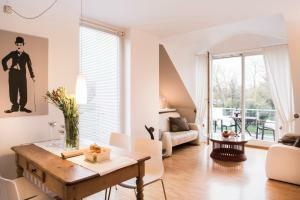 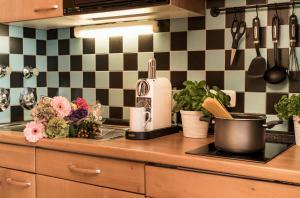 Parkside Apartment House offers self-catering accommodation with free WiFi, located in Düsseldorf. 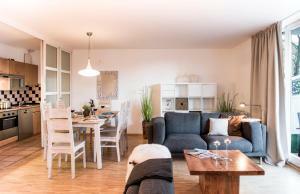 The property is 100 metres from the east entrance of Dusseldorf Fairgrounds and 700 metres from CCD Congress Centre Dusseldorf. 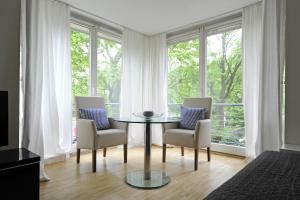 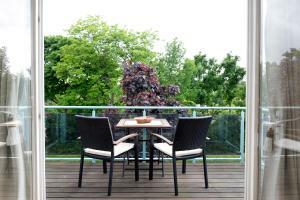 Decorated in an elegant style with hardwood flooring, these apartments have garden views from the balcony or terrace. 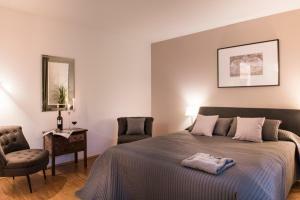 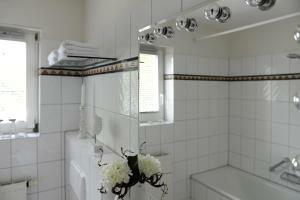 Each has a bathroom with a bath, while bed linen and towels are supplied. 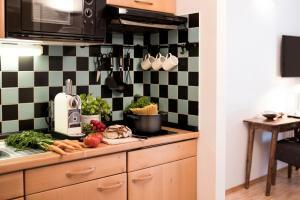 You can prepare homemade meals using the stovetop, fridge and microwave provided in the kitchen. 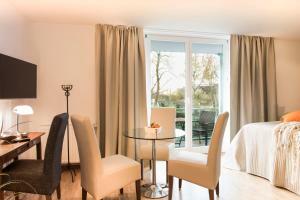 Towels are also supplied in the Apartments. 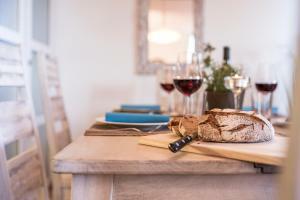 Bars and restaurants can be found within walking distance. 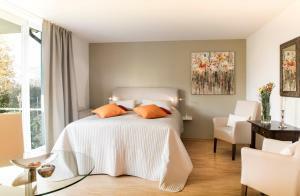 If you feel like visiting the surroundings, check out ESPRIT Arena (1.1 km) and Castle Square (4 km). 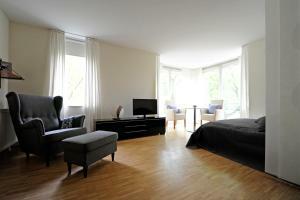 Dusseldorf International Airport is located 2 km from Parkside Apartment House. 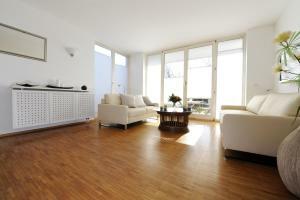 Please note that there is no reception at the property. 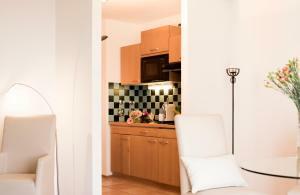 Check-in takes place via a key box. 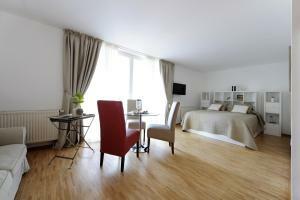 The property will contact you regarding the check-in code. 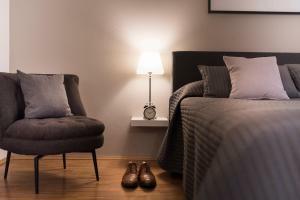 Please note, a check-in before 16:00 o'clock is not possible at the property. 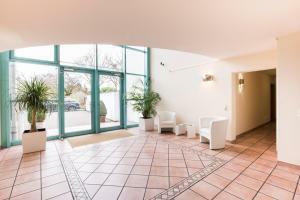 The property does not have the option to store luggage. 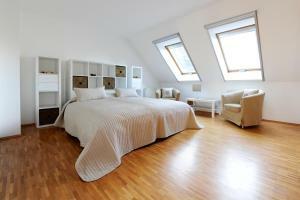 Please note, there is no intermediate cleaning, only for a minimum stay of 7 nights. 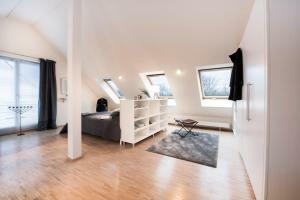 Tento apartmán má posezení, varnou desku a jídelní kout.